Tyler the turtle sang as he swam around the only home he’s ever known: the Laniakea Beach in Hawaii! Ever since he was a baby turtle, his parents already told him that he should learn to appreciate his surroundings. Laniakea Beach is one of the cleanest beaches in the world—and one of the most beautiful, too! The waters were a combination of turquoise, blue, and green. There were corals of every color imaginable, and a combination of different species of fish that made his home lively and colorful. 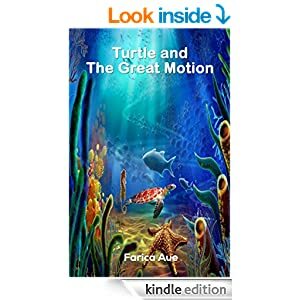 As a leatherback sea turtle with greenish-brown shell, or carapace, as his parents taught him, he sometimes envied how fish could swim so fast while he swims a little too slow. At first, he thought that it was normal, but when he saw how fish such as Angelfish, Butterflyfish, and Barracudas can swim so fast, he wondered why he could never be like them. He often asked his parents about this but they said that not everyone are created the same way, and that he should be thankful for who he is and what he has.